Bringing together resources and people to develop and implement strategies that mold leaders and team members that can! Whether you are building a project team, a department, or starting a new business venture, building the right team is essential to success. Ultimately, you are building a team that will be able to create and influence opportunities, a team that will have a global view and yet be able to focus on details. The beauty of a team is that you don’t have to have all of these things in one person, but in the combination of people you bring together. So what are you looking for in a team? Shared Passion – You need to bring together people who share a passion for the goal to be accomplished. This might be a project team that will be visioning and developing a company enterprise system and you want to bring together people who have a passion for connecting people, developing culture, and bringing together resources to increase productivity. This might be building a Talent Development department and you want to bring together people who are passionate about helping people improve their performance. Regardless of the purpose of the team, you want to find people who have a passion for the goals. Strengths – You need to find people who have honed their strengths. If the goal is to move things forward, you need people who have identified their strength(s) and are honing them. These people bring not only that strength to the table but experience and commitment to developing expertise. If you want to create an opportunity, you need people who have a demonstrated ability to set goals and achieve them. Ideally, the strengths people bring will relate to the goals to be achieved or the perceived tasks that will be necessary but don’t discount a person with strengths in a different area. You may find that the unrelated strength becomes the seed for innovation. Differences – You need to bring together people who are different. Bringing together different people will help the team to better identify patterns and see the systems that are relevant to the goals of the team. On a project team, you need to include stakeholders in addition to team members that are expected to drive implementation. When you build you team based on passion, strengths and differences, you are setting yourself up to identify the different systems you will encounter, the roadblocks to the goals, and the solutions to drive success. Developing a team that can see the forest and the individual trees is developing a team that will be able to both vision and implement. This team will be able to see the interconnectedness of the company and who will be impacted by a project and how that impact will play out. A team that represents differences will more successfully identify the fundamental issues and forces that come into play and how they relate to one another. If you can identify these and represent them together, you will be able to see the system(s) at work and identify roadblocks to your goals and identify the places of influence. Launching a new program such as a new induction training program to a company is going to face roadblocks. You need to be able to understand all the ways this new program will interact with the company. This may interact with how employees spend their time, what goals it helps them achieve, company culture, just to name a few. With that understanding of where it connects, you can identify the roadblocks, whether they are environmental or attitudinal. Looking at the system of implementation and roadblocks, you then are able to identify points of influence and see how you can strategically manage those to optimize success. Bringing together a team with passion is a team that will have the dedication to persist to success. Bringing together a team of people with strengths means that those people will have credibility and can be influences. Bringing together a team of differences means that the team will be able to identify the fundamental parts of the systems involved, the potential roadblocks, see where the points of influences and have the foundation for innovation. In addition to my experiences this post was inspired by two recent talks I heard. One was given by Dr. Carol Ann Sharicz on Systems Thinking 101 given at a local chapter ISPI meeting and the other is a TED Talk called Be an Opportunity Maker given by Kare Anderson. Does everyone know the plan? Part of why I ask these questions is so that I can understand what the participants will be doing so that I can make sure it is a safe experience for everyone, make sure the participants have understood the goals, and also so that I can provide the correct support as necessary. While I use these questions when I facilitate team-building challenges, these are important questions to ask any team that you are managing. As a good manager, it is important to know the approach the team is planning so that you can understand the direction, make sure it lines up with the goals, and be able to provide the necessary support. In this recent experience, the participants were asked to cross a “rushing river” that was about 25 feet wide with the help of four magic turtles. The turtles would help them by allowing them to step on their backs and prevent them from being washed away in the current. The stipulation was that the turtles would only help if they felt needed, which the turtles judged by physical contact. As i as they were in physical contact with someone, they would stay and allow their backs to be stepped on, but if that physical contact was absent, they would swim away. After developing a plan and getting the green light from me, the group started to cross the river and they were immediately challenged when one of the turtles lost physical contact and swam away. As they made their way across the “river” the flaws in their plan became apparent and with some on the fly changes involving passing one person back and forth between the backs of two others, the first three people made it across. It had worked for these three but it became clear this was not going to work for the whole group. The participants then spent some time revising the plan and determining a new method to cross the river and plan two was born. This plan involved people working in pairs of two in very close proximity and the group got four more people across and there were only three people left to cross. Well this presented a new challenge because their system needed pairs…and plan three was born and the last of the group made it across. While the group had a plan to start, it was their ability to adjust and develop new plans to meet changing circumstances that made them a success. This is also true of project teams in the workplace. 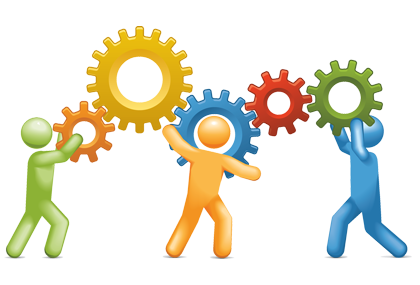 A good team will be able to develop a working plan but also be able to react to changing circumstances and challenges. This became one on the points discussed when we debriefed this exercise. It is essential that we create a plan based on the information we know but we must also be ready to react to issues that arise and changing circumstances. If we lack the agility to evolve that plan, success will rely on a perfect initial plan, something which rarely happens. Feast on a range of learning and development topics from eLearning tools and strategies, to leadership and project management, and instructional design techniques. About Me: I am a dedicated educator who is always looking to grow and improve my work and effectiveness. In my blog you will find what I am thinking about and resources I have discovered. Does Training Need to be Concerned about Diversity?